Lincoln, 32-34 Esq. , 08006 Barcelona, Spain. 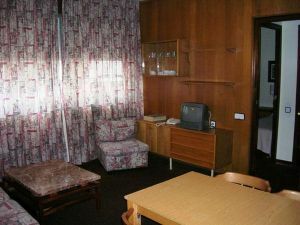 Hotel Aptos. 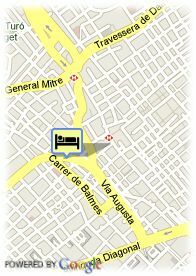 Augusta is a 3 star Aparthotel which is located in a quiet area, close to the commercial and tourist center of Barcelona. It offers 30 apartments with capacity for 1-5 people. All of them with lounge, bedroom, bathroom and kitchenette. There is a charged garage in the same building.